IT Teams participated at the NRCC Night of the SME’s 2017. 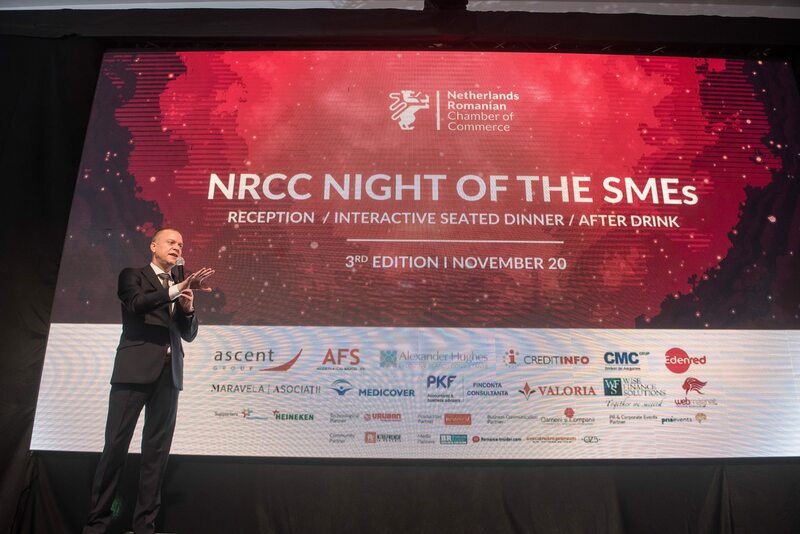 NRCC NIGHT OF THE SMEs is aimed to the decision makers of SMEs using the set-up of a Gala Dinner, where the focus is on Knowledge Exchange channeled in various Key-Topics, Interaction and Networking. IT Teams was one of the 100 + decision makers that were part of the wonderful experience. Since 2006, The Netherlands Romanian Chamber of Commerce supports and promotes the Dutch-Romanian business community. The NRCC does that this by creating business opportunities within its active community of members, having a close contact with Embassy of The Netherlands in Romania and acting as a consultation partner between the business sector and the Romanian Government. 2. Offering online and offline promotional opportunities.